Blog #7 - "Own Your Spine. Own Your Spine Pain." Why would I tell a patient to "Own your spine. Own your spine pain."? It's the only one he's/she's got! Where is this bluntness coming from? Well, it’s one of those days. A talk with a patient who wants the fix for back pain NOW got my head spinning. I want to share all I know with the patient, assure him that all will be well beyond this pain episode, that if he just embraces his spine for what it can do, all will be well. But pain gets in the way. I get it. Pain turns our rose colored glasses to gray ones in moments like this. Yet reality intervenes with truth, truth that we all must own our own spine as well as its pain on occasion. So why must we face this reality? Let’s look at it. Let’s start with genetics. You may be born with a spinal condition that will never by “normal”. Such conditions have big names like spondylolisthesis, transitional vertebra in which one has 4 or 6 lumbar vertebrae instead of 5, scoliosis, fused or incompletely formed vertebrae. These conditions will always be yours to contend with. No one can remake your spine. Like a bruise on an apple that remains on the apple, the spine is still whole even after attempts to remake it, but it remembers what was done. Same with life experiences the spine goes through. Let’s take aging. Amazingly, the human spine normally begins to degenerate in the second decade of life, in the teen years. Some people have greater disc degeneration than others. However, if one is deconditioned, that is, out of good physical shape, and then does lifting, bending and twisting with such a compromised spine, the scene is set for back pain. Most of us develop some spine pain early in life, and the pain recedes often with no treatment. Then we continue the same lifestyle of eating too much, lifting heavy weight in the wrong posture to lift, etc., our spines then continue to degenerate while we do nothing or very little to maintain good health. Then, later in life, we develop more severe spine and extremity pain and think something can be done to allow us to continue this lifestyle without change. Some even think surgery will reverse all their problems only to find it can make them worse. Let’s next consider injury from falls, lifting heavy weight, car wrecks, etc. Now if you have a spine that may have developed in a weakened state - the body of a patient deconditioned - and then add injury to it, pain results. Now, if you are such a person and you develop pain in the back or extremities or headaches and go to a doctor expecting some form of care to relieve this pain, hopefully a pill, surgery, exercise, nutritional supplement or spinal manipulation, you want it quickly so you can return to what you were doing and have the pain not return. So many factors play into the equation for injury (even for work injuries - is it alway entirely the job's fault for a work injury? ): genetics, lifestyle, physical condition, life choices in deciding how to use the body to avoid injury or pain may come into play. DO YOU SEE THE FOLLY OF THIS ATTITUDE? There is no cure for many spine problems, only control through maintaining a healthy body, learning what you can and cannot do, exercise, visiting the chiropractor for spinal alignment, spinal decompression, spinal manipulation, and conditioning, and supplementing with nutrition to develop and maintain healthy discs in the spine. A person with a weak spine cannot expect to nevertheless do anything with that spine that he or she wants without a pain consequence forever. That is like asking a diabetic person to eat a box of chocolates and not be adversely harmed. OWN IT. There is no way for you to make a race horse out of a pony. Be content with what you have, and make it work. Appreciate your spine as it is. You may not like these facts, but can you change them? No. Own your spine, and allow it to perform at its peak performance for you and your lifestyle. That requires honest realization of your limitations and living with them while being in the best physical health you can attain. YOU ARE THE ONE WITH THE MOST TO GAIN. The chiropractor is your back pain specialist, your treating doctor, coach, cheerleader, and guide. Work with the trained and even certified in Cox Technic chiropractic physician who uses flexion distraction to maximize your spine’s usefulness and ability! 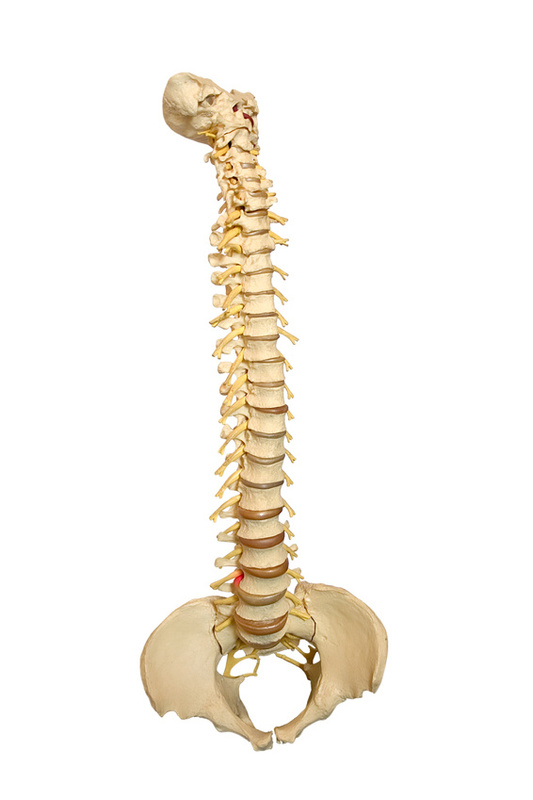 Blog #6 - What Is Cox® Flexion Distraction Decompression Spinal Manipulation? Cox Technic Flexion Distraction Decompression Spinal Manipulation is evidence-based spinal care, a form of spinal manipulation in which the human spine is placed in distraction (a type of measured controlled traction of the spine) delivered on a specialized spinal manipulation instrument. The Cox Table is the well-designed instrument of choice. The height of the intervertebral disc is increased. The size of the nerve opening which is called the intervertebral foramen is increased up to 28% in area. The pressure within the intervertebral disc which is created by the fluid within the disc is reduced from a positive pressure to a negative pressure gradient. This aids in dropping the pressure on the pain sensitive nerves within the disc and the pressure on the nerve which lies behind the disc which causes sciatic or leg pain when compressed over 20 mm of mercury pressure. The movements of the spine are restored. A specific spinal vertebral level (consisting of the intervertebral disc and the moveable joints lying behind the disc) is placing into its normal physiological ranges of motion. Remember that loss of spinal mobility is a part of back pain whether it be acute or chronic. Restoring normal spinal mobility offers improved activities of daily living and diminishing spinal stress that causes back pain. Nervous system tracts of nerves from the spine to the human brain are stimulated when spinal manipulation is administered. These nerve tracts respond to touch, motion, temperature, and pressure to initiate nerve reflexes that relieve pain and allow for normal spinal motion. Such nerve tracts can also affect balance and equilibrium that are so often affected with spinal pain. The goal of Cox® distraction spinal manipulation is summarized as follows: Attain and maintain physiological range of spine motion with the greatest relief of pain. It is also vital to note that some spinal conditions are not cured, that is to say all the pain is relieved and the person can do any activity without pain recurrence. NO, some spinal conditions that are congenital (born with) or acquired from injury or degenerative spine changes are controlled not cured. In such cases it is important that the patient follow the training given by the chiropractor concerning proper ergonomics (how to move, bend, lift, twist the spine) to avoid pain, perform the specific exercise program developed for your spine condition, and in many cases have dedicated times for undergoing Cox® distraction spinal manipulation so as to maintain relief. Cox Flexion Distraction may well be a beneficial alternative to back surgery for back pain patients. Tremendous growth in the use of spinal manipulation to treat human spine pain conditions is reported in the literature today. Chiropractic, osteopathy, physical therapy, and allopathy all research and document these benefits; let’s look at some of these benefits. Spinal manipulation is first line treatment for low back pain. (5) When considering treatment for low back pain and sciatic pain, note that epidural steroid injections are reported no better than a placebo for sciatica and spinal stenosis. These facts can aid a patient in choosing their treatment for headache or low back pain with or without leg pain. 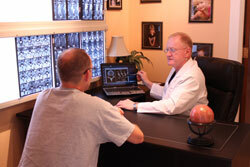 In a practical way, Dr. Cox shows that these cases come into the chiropractor's office seeking relief and can get it. The recording is now available of this presentation of 4 cases. Click here to register. You will receive personal log-in instructions and codes to watch the recording on your own time, computer and pace.